Recreational Vehicles are rapidly growing in popularity with an excess of nine million American households owning one and on average each of them drive more than 4,500 miles annually. Extensive research has estimated that a family of four in these households and others who rent RVs to spend their holidays in the outdoors would save anything from 23% to 56%, on their normal vacation costs. Since about 40 million Americans go camping in a RV annually it is imperative that they take along with them all the supplies they need. It may be quite a difficult task to fit in all the consumables and requirements of four adults into a camper and that’s where an RV argo Carrier comes in handy! For the easy transport of larger items like bikes and cooking and living appliances that you need to take along on your road trip, the use of a cargo carrier is ideal. But there are some important safety elements to consider before selecting the right model. Look for one that promises an aerodynamic, secure, and watertight design. Some come with a clamshell style opening for easy loading and unloading of your cargo. Some still boast a quiet, rattle free experience during your journey. Enjoy the versatility of certain carriers that can be used as both an open platform and an enclosed cargo box. You can transport sensitive appliances such as generators with a hitch rack that is designed for superior strength, stability, and versatility. Also consider the size of your RV and location of where you want to connect your cargo carrier. Some roof-mounted models are convenient but are not equipped to carry as much as rear towed ones. There are some ingenious creations that could be mounted at the rear of the RV and are easily hooked and detached for convenience and can carry up to 500 pounds of luggage and supplies. Most are generally made of Aluminum, which is strong and durable whilst also resistant to corrosion. Plus, there are open carriers and those that can be locked for safety. So finding the best options to suit your purpose would need some thought before you go and purchase one. 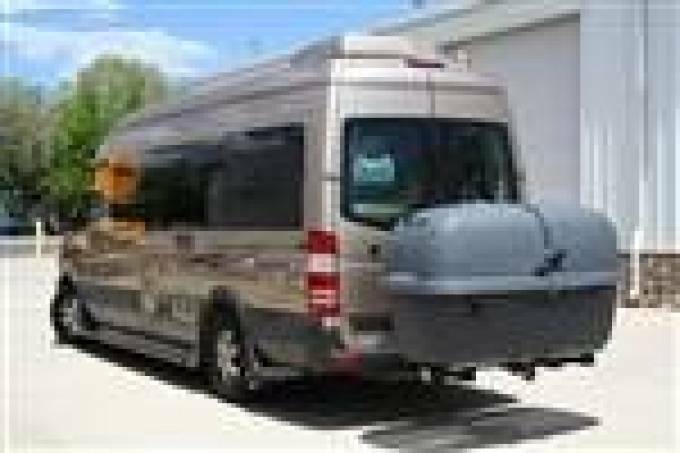 The RV cargo carriers on our website are designed to fit most models of recreational vehicles and in some cases may require minor modifications. But in all cases, our products are within the laws of the road as you travel over various states. Hence when you buy one from a reputed dealer like us we would apprise you of all the legal requirements and it is our prerogative to ensure that products that we sell do not infringe any state or Federal laws. If you’re in need of a device to hitch items beyond just a cargo carrier, there are three part installation systems that allow you to hitch SUVs, fifth wheels, pickups, and motor homes. With strong, stable, adjustable platforms your RV will have the flexibility to suit a number of clearances. Call us at 866-332-7881 and we will endeavor to get exactly what you would need whether you’re towing a car, bringing enough supplies for the whole family, or traveling solo. We offer affordable prices and free shipping! Our focus is your satisfaction. So we make it easy for you to order online 24/7. As a leader in the industry we make RV parts and accessories available to consumers in the US and Canada with over 10,000 available products. No matter what you need to outfit your RV with sustainable cargo parts and accessories, we have you covered. For more information about Camper Supplies wand RV Dehumidifier Please visit : Rvupgradestore.